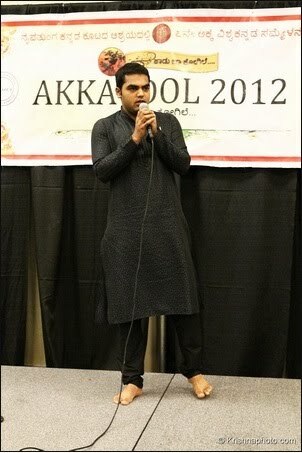 Hitesh Shivalingappa - top 3 in AKKA Idol...!!! held in Atlanta GA on September 2nd, 2012. The song he chose for the final round of the competition was "Jenina Holeyo" from the movie "Challisuva Modagalu" originally sung by Dr. Rajkumar. Hitesh was selected for the competition based on one of his prior performances.